What you are experiencing is the beginning of freedom. You are a little bit like the pip that is being squeezed out of the orange so you start to feel the pressure and you start to feel it pushing on you. But you also know that as soon as you are shot out you will find a place to land. So you are feeling squeezed but the squeeze is beneficial for you because not only is it going to provide you with the movement that is required it is also going to provide you with the momentum that is going to project you to where you need to be. You are no longer required to be kept in the orange because the orange is where the seed is stored until it is ready to sprout. It is where it is kept moist and warm and safe, it is where it is shielded from the elements and yet what we say to you is that you no longer require that kind of protection. You no longer require that kind of incubation because you have been in incubation for a very long time. Dormancy and then incubation and now the seeding and so you find that this is about moving out of what has previously been comfortable for you and moving into the wide open spaces and so naturally your inclination is going to be to move towards anything that is wide open space. In other words less structure, less regimented authority, less scheduling and so there is a period of time emerging for you as we have already discussed where it is going to be about moving with the rhythm of the planet and not scheduling your life so much. The question for you is always going to be how do I manage without the predictability of structure? Because in many ways you have learnt to cope with your human existence through predictability and control so we are going to talk to you about those two things on this day. We want you to understand that you are entering this period now where you can play with the elements and you can move energy and you can start to direct and command your existence but it must not be from a place of predictability and control. You see humans have learnt that the ability to command and the ability to move and manipulate is only for the agenda of control which provides security because predictability is security in the human mind. Control gives predictability gives security. You are actually emerging from this space so you will still be able to command, but your commanding will have nothing to do with an agenda of predictability or control and so moving forward and some of the experiments that you are participating in (because you are experimenting at this time, would you agree?) must really be about what is possible: “what happens if I do this, and what does this feel like, and what does this do? It cannot be from a place of “I am playing with this so I can have a desired outcome. I am directing energy in this way because I want a desired outcome.” Because all you are doing there is again trying to create predictability and control. Predictability in itself is knowing what you want the outcome to be before you begin and when you start to manipulate from a place of desired predictability what you find is that you don’t get a different result and so you are in repetition over and over again. It is very curious to us how even the Scientists on this planet will still attempt to manipulate and control energy and matter through predictability, through a desired result and this is why humanity is still stuck in its cycles of beliefs because it is not moving beyond the agenda of predictability into what is possible. What is there? What is the unknown? So we begin our conversation in this way because you must be aware that you are being very predictable in your methods of control, so what we say to you is that if you are going to work with matter, if you are going to work with cells, if you are going to work with energetic signatures it must always be about play for you. It must always be about “I wonder what this will do?” rather than “this is what I want it to do”. It is very important because when you start to get into the “I wonder what this can do?” it opens up a set of potential outcomes that weren’t available to you before, and it opens up a set of permeations that are not available if you are beginning with predictability. You are limiting the capacity of what can occur when beginning with predictability. When you are squeezed out of the orange and the pip goes flying in a trajectory towards the earth if you have a desired predictability there is only one direction it can go in. Projecting out from the orange, if it is not a matter of “this is where we want to go” but it is a matter of “I wonder what will happen” all of a sudden, instead of two options there are two billion, because your existence on this planet is meant to be a multi-dimensional demonstration and therefore you need to have multiple directions, which means that predictability is not a part of your future. So you have had a very intense experience of certified predictability, and what we mean by that is you have attempted very much to structure your life to the best of your ability so that you can define yourself, so that you can have an identity, so that you can have a rhythm that is in accordance with the rest of humanity. What you are discovering is that now you have understood that framework and that structure you are no longer of benefit to be continuing in that framework so you are coming to the end of the period of structure. You are coming to the end of the period of rigidity, of scheduling and of falsified rhythm and therefore this year for you will be about “what is it that I want to engage with right now?”, because you get stuck when you can’t decide what you want to engage with tomorrow, or next week or next month. You cannot plan, you cannot predict and you cannot align yourself with anything that is sequential in nature, so your difficulty here is you are trying (in a very human way) to see the path ahead and yet what we say unto you is you are off the path already. You don’t want to look at that path – it is dead to you. This is about making decisions in the moment so that the path is revealed because what you can’t do is predict, what you can’t do is say “well this is what I am working towards, this is where I will be in 3 months, this is my goal”. You cannot do it. So how do you manage in the meantime? What you do is you actually say what is it that I want to engage with right now? because all the decisions that you need to make are ‘right now’ decisions. They are not decisions for the future, they are not decisions for tomorrow, or next week or next year. They are right now decisions. The importance for you is actually trusting the ‘right now’ decision because when we observe you what you do is you have a feeling for what is appropriate right now and then you say “well I will just hold onto that and I will test it again” so the next day is that still the feeling? and then the next day is that still the feeling? and what tends to happen is then the next day there is another ‘right now’ decision and then another ‘right now’ decision. So this is about understanding how you operate so that you can start to make and act on ‘right now’ decisions because as soon as you start to act on a ‘right now’ decision all the doors open because if you don’t act on the ‘right now’ decision you stay in the same room and you check again the next day and you stay in the same room and no more doors are appearing and you can’t see any opportunities. 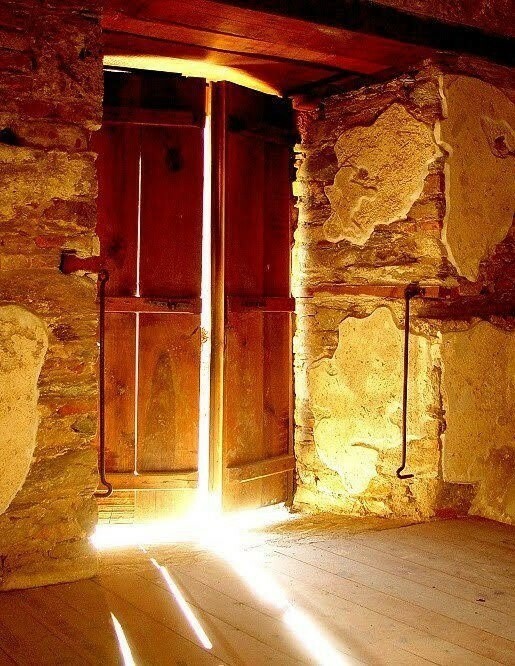 When you make a decision it starts to open up the doorway and the pathway appears. It is the same as being in a room with no doors and no windows but just a room with walls. You have to make the decision to move before the door appears but if you don’t make the decision to move and you wait until the next day or the next day then there is no alternative pathway. So we are giving you the magic key to new direction, the magic key to more experience is to trust the decision for today because then the magical doors start to appear and then you can move through them. So let us give you an example. You are playing with food. Rather than the predictability of “this is what I want the outcome of eating this food to be – this is what I want it do”, what we would say to you is in that moment be open to what can occur. So in that particular situation the decision in the moment is what you would like your experience of the food to be – in that moment. Not what you would like it do in a few days, not what you would like it to do in terms of a long term health care plan for you, but in this moment. It is not about asking but it is about being open to possibility. So it would be “I wish to have an experience with this food” and allow it to show you so you are making a decision not to predict. So you are still aligning with the food, but leaving the experience open ended, because then what you are doing is you are potentialising it instead of making it finite in terms of what it can do for you. Now let’s take that one step further. What would then happen if you did that with a person or a relationship instead of “what would I like this to be, can I predict where this is going to, do I think this is long term or compatible, is it going to give me what I need?” Rather than “I am open to the possibility of what is happening in this moment”. Be open to the potential of what is available. Do not fall into the quandary of human predictability for security. Potentialise, potentialise, potentialise. And so what you find is whatever your experience, whether it be with food or a human or vocation, you must always make your decision in the moment because often what will happen is what was appropriate on one day is not appropriate the next. How often do you see people in relationships that continue on even though in this moment there is not a feeling like there is any potential? Humans are so entranced by predictability. There is a sprouting that is beginning and we have said that the planet’s vibrational frequency is moving to a pitch that is suitable for your thriving so you are actually starting to feel vital. The vitality of the seed sprouting. Eventually the seed begins to take root and that is when you actually start to feel the sense of stability for the first time on this planet, because that hasn’t happened yet. So this is a period of rejuvenation and a period of potentialisation before the great roots begin to take hold and when the roots begin to take hold you become tall in statue and wide are your branches and you have influence over others and visibility so be prepared. This time is not about anchoring, it is not about committing, it is not about defining – it is about experimenting, it is about what decision is appropriate right now so that more doors can be open and then more doors and then more doors because the growth of a seed is exponential, it is not linear. When you see the growth pattern it will double almost daily. So that means every time you make a decision there are more opportunities and from that decision there are more opportunities and so the growth becomes exponential. Eventually it will start to level off and that is where you will find your sustainability where the roots start to take place and the speed of things start to settle and that is where you consolidate but that is not until around end of 2018 to mid 2019.